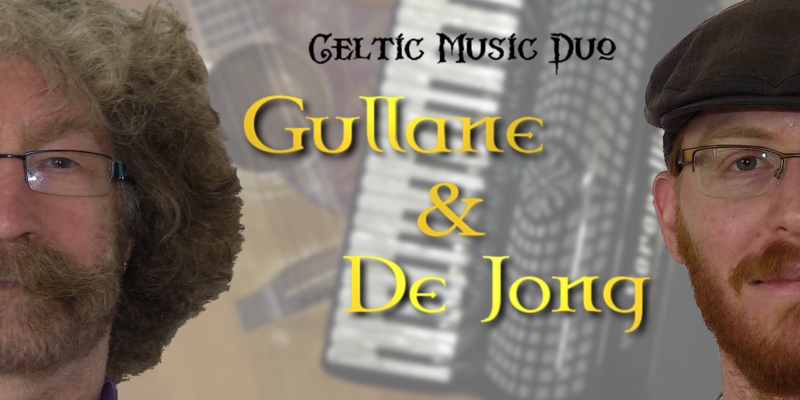 Welcome to the webpage of Celtic Folk Duo Gullane & De Jong, from Roy Gullane and Erik de Jong. Roy is a Scotsman living in Groningen, The Netherlands. From here, he plans tours for his long existing and famous band the Tannahill Weavers. In Groningen, he also met Erik in O’Ceallaigh’s Traditional Music Bar, the place to be in Groningen for Irish/Scottish musicians. Erik is also an experienced musician, and founder of FolkMuzikant.nl. In 2007, Roy and Erik decided to form a duo, most suitable to play in folkclubs and on festivals. They try to bring Celtic music with as much variation as possible, using different kinds of instruments and by playing all kinds of tunes as well as singing songs (or a combination of both). We hope you’ll like our first album ‘Jink and Diddle’ (2014).